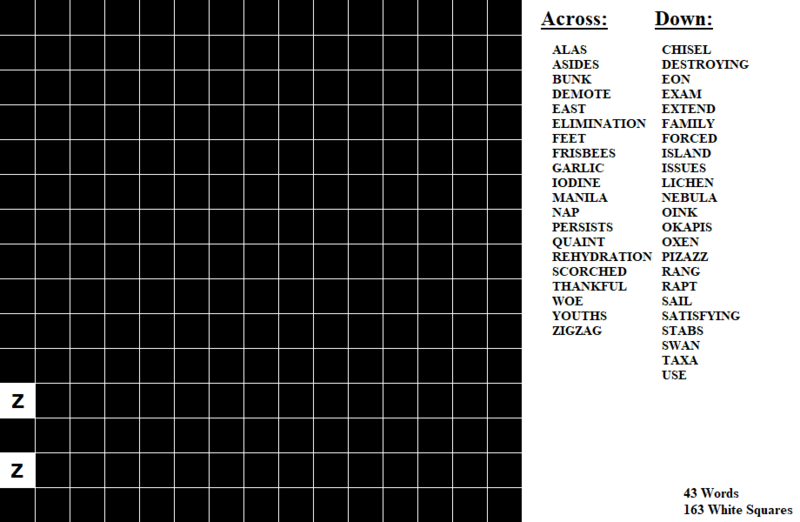 The aim is to create a crossword by clicking on the white squares. You are given a square(s) to start. A word list is provided - click words once used. A symmetrical "British-style" Crossword will be revealed - the pattern of squares in the grid must remain the same when rotated 180 degrees and letters need not comprise horizontal and vertical words simultaneously. Each word has at least half its letters (rounded down) comprising another word.